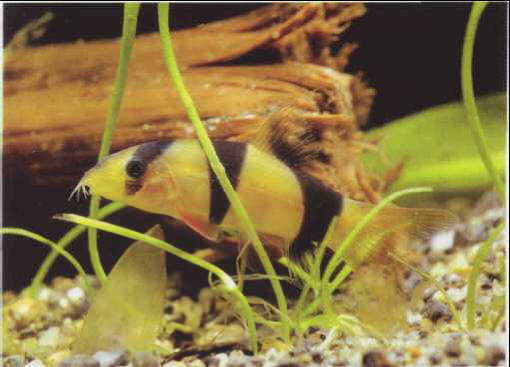 The clown loach is the most well-known and commercially successful species of the genus Botia. All species are bottomsifters, i.e., they search the substrate for food. None will breed in captivity. A twilight fish, mainly hiding away during the daytime, the clown loach can be aggressive when cramped for space or defending territory. Size: 15 cm.